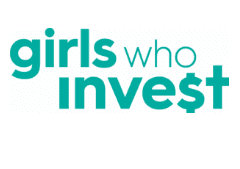 Girls Who Invest is empowering our youngest women to think of themselves as financiers. New support from Vista Equity Partners will help expand their work. Increasing women’s participation in portfolio management and executive leadership is key not just to the financial world, but society as a whole. Investment professionals are charged with making major decisions on behalf of venture capital and private equity firms, as well as managing funds invested in by corporations, governments, pension funds, endowments, foundations and non-profits. One organization heavily involved in correcting this problem is Girls Who Invest (GWI). GWI aims to increase the number of women in asset management and finance, fields where females are highly underrepresented. 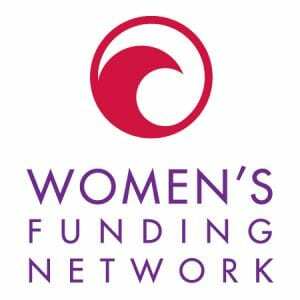 To help in its efforts to recruit more young women into the fund-management pipeline, GWI recently received $1.5 million in funding from the venture capital and private-equity firm Vista Equity Partners. While fields such as medicine, law and academia have become increasing gender diverse, asset management and investing in general have remained a male bastion. In venture capital and private equity, there are virtually no women. Venture capitalists invest in risky early-stage companies or “start-ups.” When these bets hit, the rewards can be substantial, but you can’t reap them if you’re not in the game. Moreover, it is difficult for women-led firms to attract investment dollars, particularly when the investors are largely male. Girls Who Invest was founded in 2015 by Seema Hingorani and is a non-profit “dedicated to increasing the number of women in portfolio management and executive leadership in the asset management industry.” Its CEO is Janet Cowell, the first woman elected State Treasurer of North Carolina. During her eight-year tenure, Cowell managed over $100 billion in assets, and health and retirement benefits, for over 900,000 members, growing pension assets from $60 to $90 billion. Founder and GWI Chair Seema R. Hingorani is also the Founder and Chief Investment Officer of SevenStep Capital, “an opportunistic alternatives seeding platform focused on investing in women portfolio managers.” Until 2014, she served as Chief Investment Officer for the New York City Retirement Systems which at that time had assets of $160 billion. A 2018 study “Female Fund Manager Performance: What Does Gender Have to Do With It?” by financial services and investment research company Morningstar backs this up. The study addressed the hypothesis that male fund managers produce better results than women. It found “gender has no statistically significant difference for managers in either equity or fixed-income asset classes.” Moreover, in two of their studies, women-only management groups outperformed not only men-only but also mixed-gender groups. Regardless, women are not going into fund management. In a January 2019 interview with Yahoo Finance, Hingorani noted that because of the paucity of women in investing and finance, many young women did not believe that field was even open to them. Furthermore, many felt that asset management and finance were places to make money, but not make a positive impact on the world. Hingorani argues that one need not work for a non-profit to make a difference, and that finance can be a vehicle for progress, a view that she shares frequently with GWI participants and other young women. GWI-backer Vista Equity Partners is a major venture capital firm with five offices in Austin, Chicago, New York, Oakland, and San Francisco. It invests exclusively in software, data, and tech-related companies. Vista has supported GWI’s flagship 10-week Summer Intensive Program and its online programs for the last three years. Its $1.5 million in new funding will boost these programs, enabling 150 college women to participate in the Summer Intensive Program (30 took part in 2016). The students enroll in four weeks of training, and then complete a six-week paid internship at leading investment firms. Vista itself will hire six interns. The program is succeeding in increasing female investment talent. Of the nearly 200 college women who have completed the Summer Intensive Program, 80 percent have remained in the investment business. This provides opportunities for young women and will pay dividends for companies and funds as they can draw from a deeper and more diverse talent pool. The partnership between Girls Who Invest and Vista Equity Partners demonstrates that feminist philanthropy can be a key lever in diversifying male-dominated fields such as asset management. The ripple effects of this effort are likely to go far beyond finance and investing, and empower women in a number of areas.